Saturday Juniors: all age groups. For younger age groups the coach can stipulate preference for AM or PM games. Championship Juniors: Applicants must have experience, be prepared to continue to learn, and make a serious commitment to teaching skills and tactics. . Applications for the following year are called for in June. Assistant Coaching: Learn more about coaching in a practical way, while helping. A number of experienced coaches are seeking assistants. – Coaches over the age of 17 must sign a form consenting to a working with children check, and understand an appointment would be cancelled in the case of an unsatisfactory report. All reports are sent only to a respected person outside the Club. – By accepting a position, coaches agree to abide by the Basketball Victoria Coaches Code of Conduct and the relevant policies of Eltham Wildcats Basketball Club Inc.
– A Coaches’ Library with notes, books and videos is available for use-catalogue on request. – Coaches Advisers are available for consultation, or a visit to trainings or games. – New coaches attend a briefing meeting, and receive a package of policies, training drills for use in early weeks if wished and other resource material. – Free or subsidised attendance at Coaches Seminars. – Fully funded Level One Coaches Course. – Discounts on subscriptions for coaches’ families. The Eltham Wildcats Basketball Club offer a Junior Administration course for members of our club aged 14 upwards that provides a solid base for working in the sports industry. It is a fast paced industry, and to be given the chance to gain work experience in one of the biggest basketball clubs in the world is an opportunity. – Answering phones and being able to give the appropriate responses to our members. – Answering questions regarding enrollments, venues, fixtures and general administration queries. – Setting up the stadium ready for matches and ensuring that everything is ready for both teams. – Processing enrollments, collecting money from teams, finalising referee and administration rosters, paying referees and other administrators, and dealing with unexpected issues with professionalism and efficiency. – We are very proud of our Junior Administrators and we have had great feedback from the local community, parents, players and spectators alike. They do such a wonderful job! *please note: the January Tournament administration duties differ somewhat to the regular Saturday administration duties and that there will be a separate Tournament course to undertake to prepare you for the hard work! If you would like to be involved with our refereeing courses, we have them available for people aged 15 and up. We strongly recommend that you get involved as a referee, as it is a great way to get fit, learn the game and earn some extra money. The Eltham Wildcats Basketball Club provide referee coaches who assist with controlling the game with careful monitoring, evaluating and developing the progress of our junior referees. 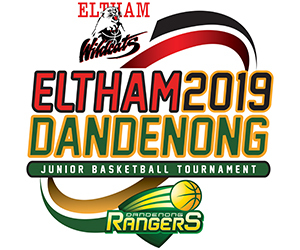 BEING INVOLVED WITH THE ELTHAM WILDCATS BASKETBALL CLUB PROVIDES A LOT OF POSSIBILITIES TO STAY CONNECTED WITH THE SPORT AND THE LOCAL COMMUNITY!